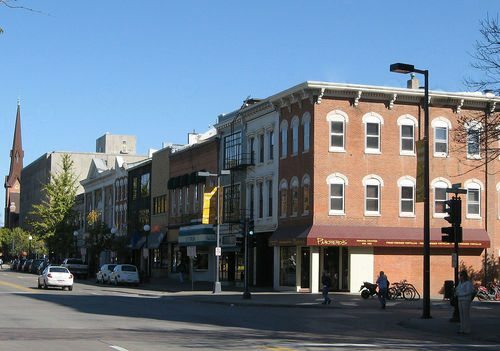 Everyone loves a good college town – but there’s your problem. Not everyone can afford them. The trick is to find a place that meets all the must-haves, without putting a gaping hole in your wallet. Well, easier said than done. Fortunately, we’ve done all the research and crunched the numbers for you. Below, find our methodology and our ranking of the 50 most affordable college towns in the nation. Check out our methodology and rankings below! College Town Overall Rank (1/3): the overall ranking of the college town or city for their given city size according to the American Institute for Economic Research. College Town Criteria (1/3): a measure of the artistic, cultural, and scholastic events within the community, as well as the percentage of the town who are college educated. Affordability Criteria (1/3): a aggregate ranking of the cost of rent for a two bedroom apartment, the median earnings citywide, and the local unemployment rate. Binghamton is home to numerous campuses: Binghamton University, SUNY Upstate Medical University, Ridley-Lowell Business & Technical Institute, Empire State College, and SUNY Broome, among others. With a greater metropolitan population coming in at just under a 250,000 residents, Binghamton has the resources of a modestly large city, but the feel and intimacy of a small, tight-knit community. As such, it’s recognized both as a blue-collar, manufacturing and tech town – the largest companies in the area include Lockheed Martin, BAE Systems, IBM, and others – as well as, increasingly, an arts-oriented community. Downtown is home to several local art galleries, and there are several public showings throughout the year. Other highlights include the Binghamton Philharmonic, July Fest (a music, arts, and crafts festival), and a lively local sports scene. 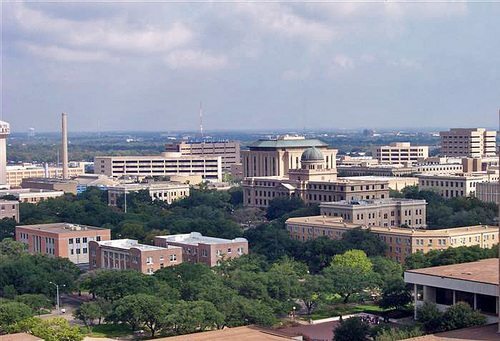 College Station is, of course, synonymous with Texas A&M University, and is the 15th largest city in the state, at 233,135 people. 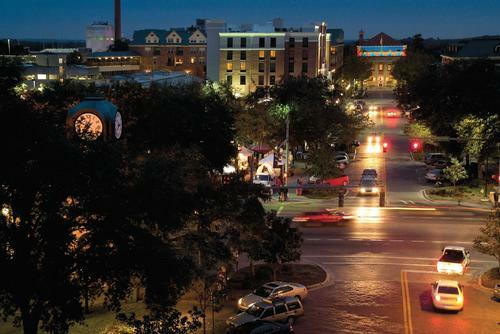 A true college town, as the name makes clear, life in the city very much revolves around the school – and consequently the Aggies’ football team. Predictably, Texas A&M is also the city’s largest employer, followed by several hospitals and Sanderson Farms, one of the country’s largest poultry producers. Thanks to a wealth of research projects funded by the school, NASA, the National Institutes of Health, the National Science Foundation and the Office of Naval Research all have ongoing projects in town. 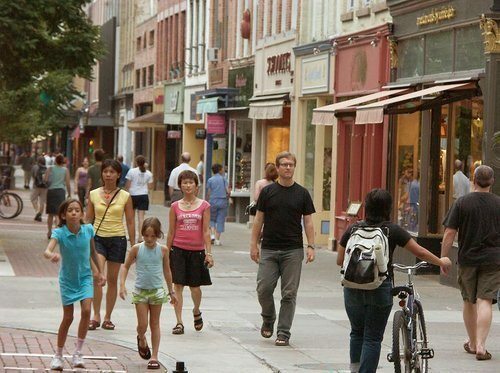 This idyllic Rhode Island town – though, at 1,601,374 residents, hardly provincial – boasts Brown University, Providence College, Rhode Island College, Johnson & Wales University, and others. In total, the city’s student population is approximately 44,000. Above all else, Providence is identified with the arts and aptly calls itself the “Creative Capital.” Over summer, the city hosts WaterFire, an environmental art installation of about 100 bonfires that blaze just above the surface of the three downtown rivers. There are also notable ballet groups, improv schools and troupes, a well-respected underground music scene, and other creative outlets. Obviously home to the eponymous university, Syracuse also has SUNY College of Environmental Science and Forestry, SUNY Upstate Medical University, and other satellite campuses and community colleges. Perhaps unknown is that Syracuse is a highly-regarded jazz destination for its outdoor festivals, the Syracuse Jazz Festival and the CNY Jazz Arts Foundation’s Jazz In The Square Festival, in which dozens of award-winning have performed. In addition, there are numerous museums, 170 parks and recreation spaces, and the city has been cited by Forbes as one of the top 10 places in the country to raise a family. 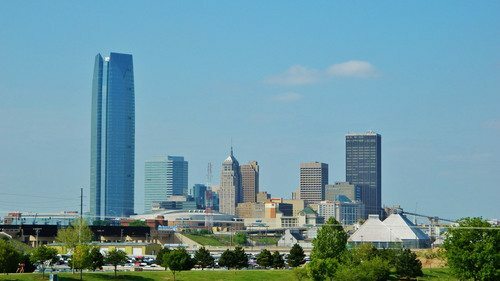 The largest city in Oklahoma also has a long list of higher education centers: Oklahoma State University, Oklahoma City University, several satellite campuses, and numerous religious-affiliated schools. The economy has become increasingly diversified, and is the headquarters for Chesapeake Energy, Devon Energy Corporation, and Love’s Travel Stops & Country Stores. Other presences include Dell, Hertz, UPS, Farmers Insurance, Cox Communications, and Boeing. Sport events are a popular source of entertainment – high school, college, and professional – but OKC also has a wealth of museums and theaters to explore. The Oklahoma City Zoo and Botanical Garden is another perk to this affordable and growing city. Champaign offers the University of Illinois and Parkland College. Nicknamed the Silicon Prairie, the city is a busy tech and startup hub, in addition to housing a large number of Fortune 500 companies for a city of its size – just 234,072, 40% of which are college-educated. In this way, Champaign offers its residents all the economic pay-offs of the big city, but maintains its distinctly collegial environment. The Fighting Illini basketball team is always a draw, and the city also has a few minor league teams. Downtown, you’ll find Historic Virginia Theatre and The Art Theater Co-op, both of which show otherwise overlooked, independent feature films and are distinctly old-school – each hovering around the century mark. Scenically situated on the James River, Richmond is as historically rich as it is vibrant. Among the museum and monument attractions are: the Virginia Historical Society, Virginia Museum of Fine Arts, Science Museum of Virginia, Virginia Center for Architecture, Valentine Richmond History Center, Old Dominion Railway Museum, American Civil War Center at Historic Tredegar, and the Edgar Allan Poe Museum, among many more. Virginia Commonwealth University, the University of Richmond, Virginia Union University, Virginia College, two theological school, and an array of community and technical colleges makes Richmond one of the more higher-ed focused cities on our list. The city is also famous for its fantastic colonial-era architecture – Georgian, Classical, Greek Revival, etc. – and Southern cuisine staples. 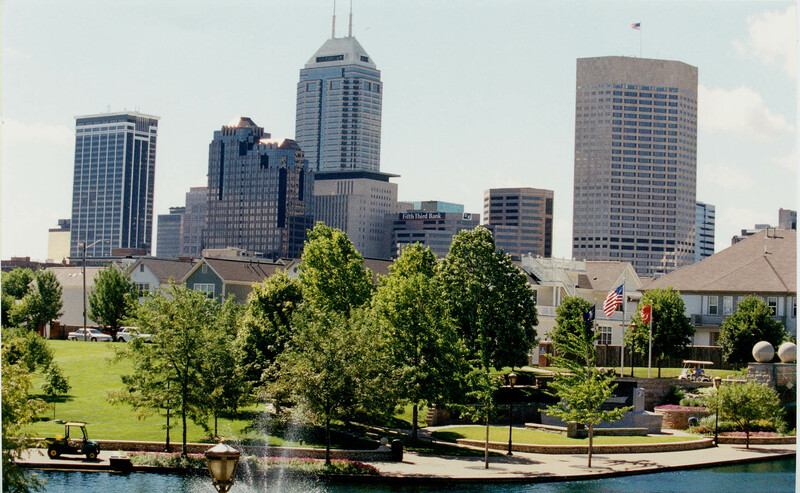 Indianapolis is home to several excellent universities: Butler University, IUPUI, Ivy Tech Community College of Indiana, Marian University, Martin University, The Art Institute of Indianapolis and University of Indianapolis, among others. With a population of 1,798,786, the city is the biggest in the state and second largest in the Midwest. With a rich cultural history, Indianapolis boasts more than a dozen museums, performing arts centers, and several historic monuments. As the headquarters for the NCAA, the city is also a world-class destination for sports: the Brickyard 400, Grand Prix of Indianapolis, NFL Scouting Combine, the largest half marathon in the U.S., and the Indianapolis 500 are all held here; and several national championships have been hosted by Indianapolis, too. Right at the foot of ski country, Provo is home to, most prominently, BYU, in addition to Provo College and Rocky Mountain University of Health Professions. 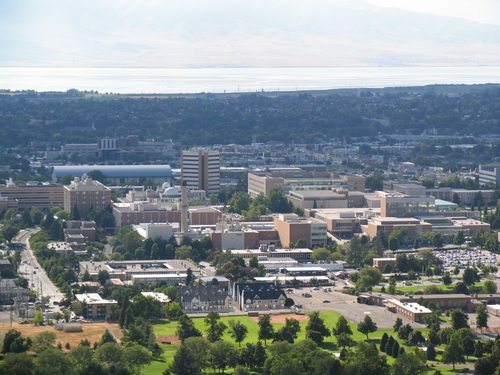 BYU is the top city employer, with various Internet, tech, and other companies also located in the area. For those searching primarily for a happy and healthy community, it’s tough to beat Provo, which has been ranked #1 for community optimism, health/well-being, and volunteerism within the last few years. Given the unique outdoor opportunities on hand, this doesn’t come as a surprise: the area is covered in caves, rivers, waterfalls, and all sorts of natural wonders. Even the most novice outdoorsman can’t help but notice the bang for their buck. See: above. 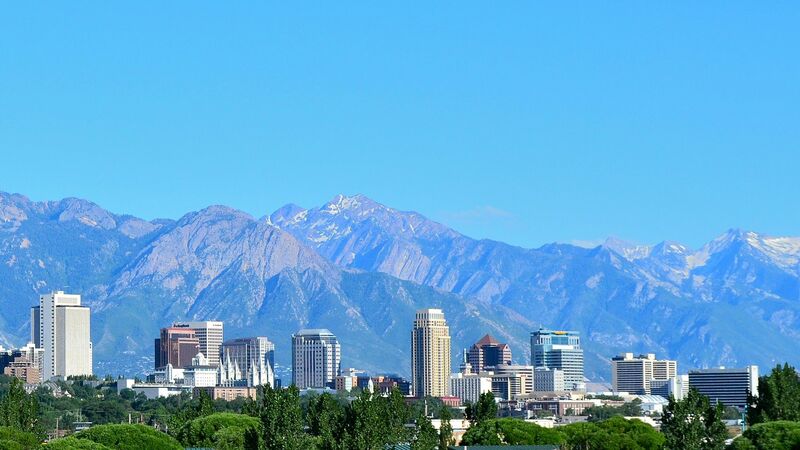 Salt Lake offers all the benefits of Provo, with the added bonus of big-city living. And with that comes real cultural advantages: museums, planetariums, theaters, performing arts centers, and a perhaps surprisingly hip local music scene. What’s more, Salt Lake knows how to put on a festival. Throughout the year, the city hosts more than a dozen arts and cultural festivals, in addition its own Comic Con. Among the schools in town are the University of Utah, Westminster College, Stevens-Henager College, Eagle Gate College, The Art Institute of Salt Lake City, Violin Making School of America, and more. As the “Crossroads of the West,” Salt Lake also benefits from a diversified and thriving economy, from transportation and tourism, to healthcare and energy. Milwaukee is a beer town, and a beer town is college town as far as we’re concerned. 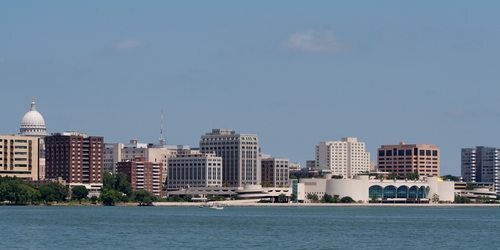 More than a dozen schools are located in the area, including Marquette University, Milwaukee Institute of Art and Design, University of Wisconsin–Milwaukee, Herzing University, and others. 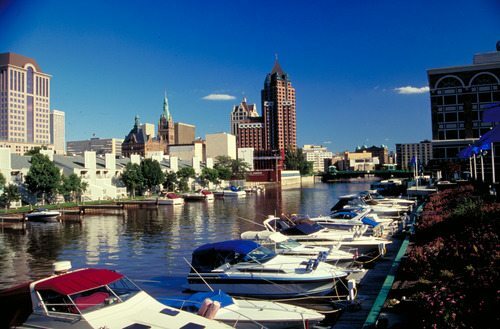 Milwaukee also offers a wide range of museums, theater and performing arts centers, restaurants, and festivals. Summerfest, the city’s annual music festival, takes place over 11 days on 11 stages and claims to be the largest in the world. Another unique feature? The development of a city-wide municipal wireless network. And again, there’s beer. Portland sits at the picturesque intersection of the Willamette and Columbia rivers, between the Pacific Ocean and the Cascade Mountains. Here you’ll find Portland State, the University of Portland, Reed College, Lewis & Clark, and a dozen other higher ed institutions. 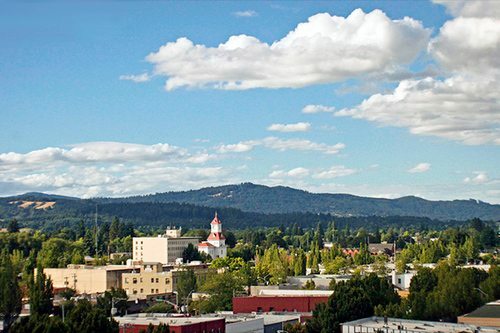 Also known as the “City of Roses,” Oregon is famous for its environmentally conscious lifestyle, with its high walkability, large cycling community, and more than 10,000 acres of park space. Not to be out-done by Milwaukee, Portland’s beer culture is equally vibrant thanks to a large, world-class microbrewery industry. For bibliophiles, look no further than Powell’s City of Books, the largest independent new and used bookstore in the world. The city’s music scene is always worth checking out, and, interestingly enough, Portland is considered the karaoke capital of the world. “Keep Portland Weird, “indeed. 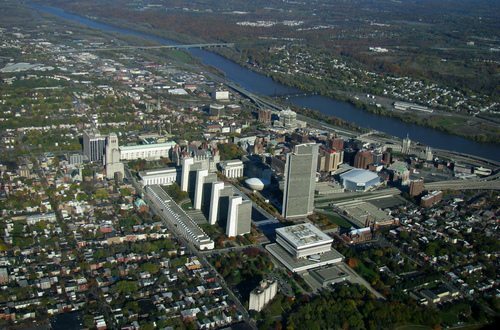 Home to three SUNY institutions, the Greater Metropolitan Buffalo Area, including Niagra Falls, is the second-largest city in the state at 1,134,210 residents. This quintessentially blue-collar city couldn’t have less in common with the state’s most populous city, however. Buffalo is about salt-of-the-earth, unpretentious living. That said, it’s no cultural slouch. The National Geographic Society ranked Buffalo #3 on their “World’s Top 10 Food Cities.” Obviously the city has its trademark wings, but there’s also Chinese, German, Japanese, Korean, Vietnamese, Thai, Mexican, Italian, Arab, Indian, Caribbean, and French cuisine all on hand. The Sabres and Bills are the city’s beloved professional sports teams, and it’s hard to call yourself a true Buffalonian without cheering on the home teams. For its inexpensive living, authentic character, and killer cuisine, Buffalo should be on any list. State College is Penn State. Simple as that. 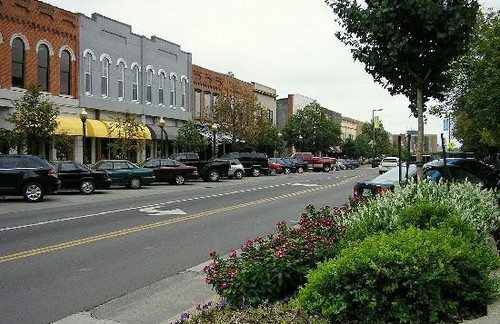 Routinely ranked as one of the best college towns in the country, the city is also one of the safest towns in the country. Also known as “Happy Valley,” residents enjoy an expansive bar scene, music culture, and parks and recreation space. Of course, sports play a rather large part in the goings-on, and Nittany Lions football is a high priority. There are certainly other attractions, though. Their July 4th festival attracts 60,000 to 80,000 visitors and is ranked as the 3rd largest firework displays in the United States. Other festivals include ice sculpture exhibitions, music and vaudeville performances, and art displays. Morgantown is home to West Virginia University, another through-and-through college town. 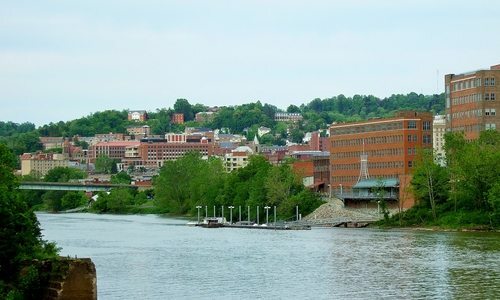 Nestled away in the Appalachians, Morgantown is a scenic, tight-knit community, with the Monongahela River running through the center. As with most areas in the state, Morgantown’s economy is heavily dependent on the mining industry. Collegiate sports are a large source of entertainment, and WVU is almost always competitive in the major sports, with basketball and football particular favorites. An arboretum, several theaters, and a riverfront park supply the community with additional options. Gainesville and the University of Florida is another one of the indivisible couplings on our list. Variously ranked as one of the “best places to live and play” and even as the outright #1 place to live in North America in the 2007 edition of Cities Ranked and Rated, Gainesville certainly has a lot to offer. The city is routinely cited for its low cost of living, further boosted by the state’s zero income tax. The university is the area’s largest employer, healthcare also having a large presence. Collegiate sports are obviously a huge attraction, and UF is one of the most-winningest colleges in the country in terms of national championships. What’s more, Gainesville also claims one of the better music scenes in the country. 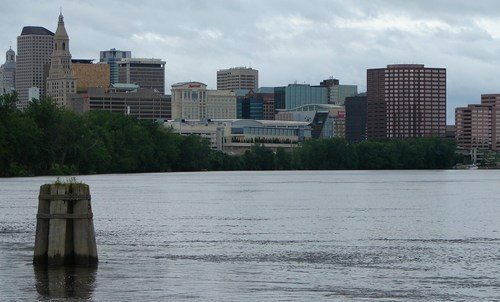 Hartford, the “Insurance Capital of the World,” is home to Trinity College, the University of Hartford, several UConn satellite schools, and others. The city is one of the more beautiful in the country, and Mark Twain himself called it one of his favorites. There are several notable sights to see throughout town, including an ancient burial ground, Bulkeley Bridge, Bushnell Park, Constitution Plaza, Elizabeth Park & Rose Garden, the Harriet Beecher Stowe House, and many museums, theaters, and other historic buildings. For a city as attractive and culturally significant as Hartford, it’s hard to beat this price tag. 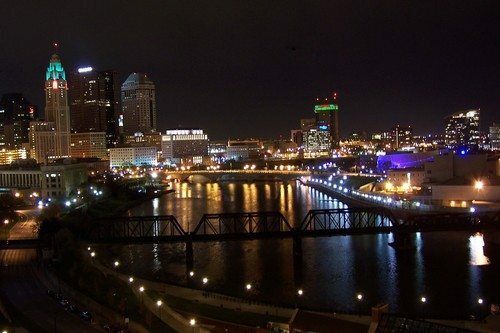 Columbus, population 1,878,714, has earned numerous accolades over the years: #1 up-and-coming tech city and A-rating for business by Forbes, a top 10 city by Relocate America, and one of BusinessWeek‘s top 50 best cities. Not bad for anyone interested in Ohio State, by far the largest school in town – and the nation. As suggested by the above rankings, the economy is highly diversified, cutting edge, and competitive; areas of particular emphasis include education, insurance, banking, fashion, defense, aviation, food, logistics, steel, energy, medical research, health care, hospitality, retail, and technology. As you’d expect, sports are a big deal around these parts, and Ohio State’s football and basketball programs are routinely among the best in the country. 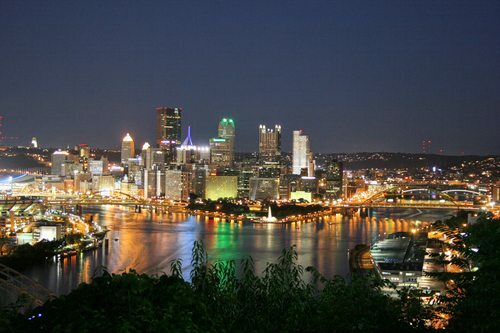 Pittsburgh has a whopping 68 colleges and universities, including Carnegie Mellon and the University of Pittsburgh. The “Steel City” also has the headquarters for PNC Bank, 8 Fortune 500 companies, and several other federal agencies. Other companies with offices include Google, Apple, Bosch, Disney, Uber, Intel and IBM. Add all these companies with the city’s obvious industrial base, and you’ve got an economy as tough as the nickname implies. Pittsburgh also has a long, venerable arts tradition, from music and ballet, to major museums like the Andy Warhol Museum, the Carnegie Museum of Art, the Frick Art & Historical Center. Sports fans won’t want for entertainment, either: Pittsburgh has been listed as the best sports town in the country on several occasions. Fairbanks, home to the University of Alaska – Fairbanks, is unsurprisingly one of the smaller towns on the list, at population 100,272. Though don’t let the size and forbidding locale scare you off – Fairbanks is known for its welcoming, small-town character, and the community is a collection of like-minded neighborhoods. Winter sports are a big deal here: cross-country skiing, ice hockey, dog sled racing, and more. And while the winters aren’t for the weak of heart, summer brings its own pleasures, and the town becomes a tourist hotbed, with everyone wanting to get a taste of the inimitable Alaskan wilderness. 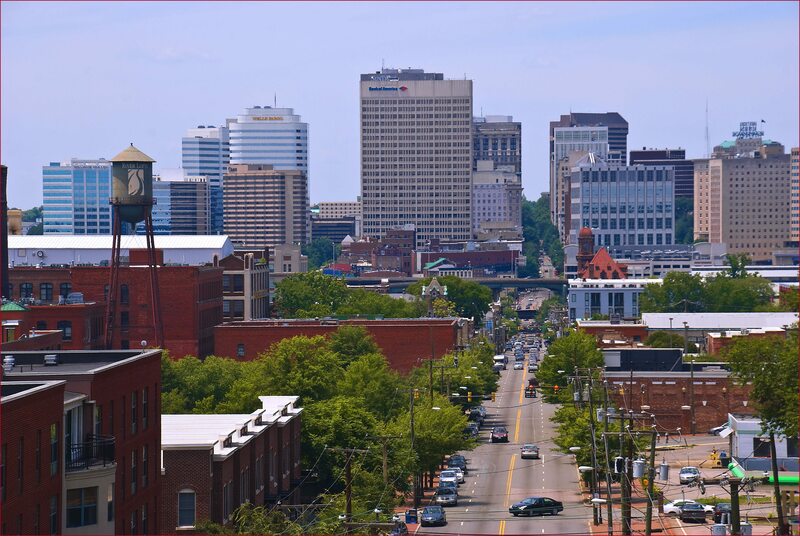 Lexington, the second largest city in Kentucky, is both the “Horse Capital of the World” and home of the University of Kentucky, affectionally “Big Blue.” No doubt, Kentucky basketball and horse racing are at the very heart of the city, but other cultural options are available as well. Lexington has a professional orchestra, two ballet companies, a professional theater, several museums, several choral organizations, and a highly respected opera program at UK. In addition, there is also the city’s famous bluegrass, perhaps one of the finest in the world. As the locals say, “many cultures…one city.” For its cultural variety and small-town charm, Lexington is as appealing as it is affordable. 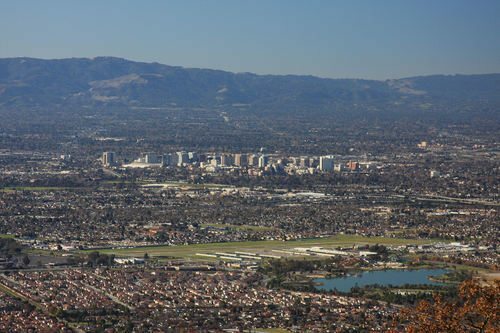 At a population of 1,894,388, San Jose, often cited as the capital of Silicon Valley, is the third largest city in California. While not technically very cheap, what pushes San Jose onto the list is its sky-high percentage of college graduates (46%) and exceptional earnings potential, among the very best in the entire country. It goes without saying that tech is the name of the economy’s game, but there are certainly other opportunities as well. The main university is San Jose State University, though there are many other community colleges and satellite campuses in the area. San Jose is particularly fortunate to have nearly 16,000 acres of parks and recreational space and over 53 miles of trails – ideal for any fan of the sunny California outdoors. As the name denotes, Grand Forks is situated at the scenic fork of the Red River and the Red Lake River. With 98,888 residents, the city is the third largest in the state, behind Bismark and Fargo, which appears later on our list. The University of North Dakota is the area’s largest employer, with defense, health care, manufacturing, food processing, and scientific research rounding out the other top industries. UND offers the town an impressive range of cultural points, including museums, theater performances, national touring exhibitions, and more. It goes without saying that any seasoned outdoorsman will find more than enough to do out in the North Dakota wild. Trenton offers residents their pick of historic monuments and museums. Among the area top attractions are the New Jersey State Museum, New Jersey State House, New Jersey State Library, Trenton City Museum, Trenton War Memorial, Old Barracks, Trenton Battle Monument, Trenton City Hall, and William Trent House. The city’s Cadwalader Park was built by landscape architect Frederick Law Olmsted – the designer of nearby New York City’s Central Park. Higher education in the city includes Thomas Edison State College, Mercer County Community College, and The College of New Jersey. 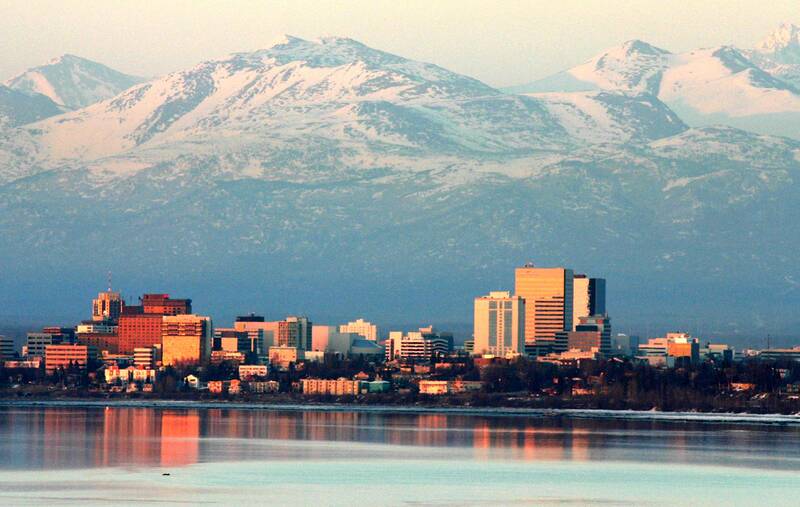 With 392,535 residents, Anchorage is home to 40% of the state’s population; only New York City holds a larger percentage of total state residents. Anchorage’s higher education schools are the University of Alaska – Anchorage, Alaska Pacific University, and Charter College. 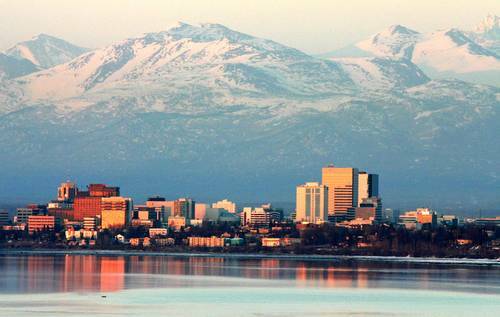 For a city of its size, Anchorage has a robust arts scene. The Alaska Center for Performing Arts is a cutting edge, 3-part complex that sees hundreds of thousands of visitors per year; and the Anchorage Concert Association brings 15-20 events a year, including Broadway staples like The Lion King, Les Misérables, Mamma Mia!, The Phantom of The Opera, West Side Story, Wicked, and more. If that’s not enough, as featured in our Fairbanks review, Alaska has plenty of winter sport entertainment for the hale and hardy among us. Among Rochester’s institutions of higher learning are the University of Rochester, Rochester Institute of Technology, Empire State College, SUNY Brockport, and several community colleges and satellite campuses. The city has its own Philharmonic Orchestra, the George Eastman House International Museum of Photography and Film, Memorial Art Gallery, Rochester Contemporary Art Center, Rochester Museum & Science Center, the Rochester Broadway Theater League, the Strasenburgh Planetarium, Hochstein School of Music & Dance, and numerous other arts organizations. Also known as the “Flower City,” residents enjoy an extensive parks and recreation system, with 13 full-time recreation centers, 19 swimming programs, 3 artificial ice rinks, 66 softball/baseball fields, 47 tennis courts, 5 football fields, 7 soccer fields, and 43 outdoor basketball courts. In addition, the city’s annual Lilac Festival attracts people from near and wide to witness the magnificent bloom. Finely situated on the Utah-Idaho border (with suburbs actually spilling over north into the state), Logan is home to Utah State University. At a population of just 128,374, Logan is an intimate and community, mostly centered around the university. Sitting on the selfsame river, the views Logan commands from the slopes of the Bear River Mountains and Cache Valley are stunning. Though you’re certainly in cowboy country, the city hosts an opera festival every year, and the beloved Ellen Eccles Theatre shows concerts, community theater, ballet, and classic movies. From May through October, the farmer’s market is an extremely popular weekend destination, and has been named among the country’s very best. As a major center of higher learning, Albany has more than 20 major schools, including SUNY Albany, Skidmore College, Union College, SUNY Adirondack, and many others. 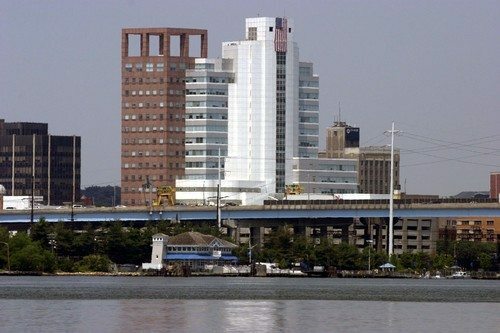 Thanks to such a prodigious list, Albany is often cited as one of the highest IQ cities and has been named by Forbes as one of “The Best Places with the Best Education.” Besides education, the main economic drivers are healthcare, tech, and government. The city also has several museums and historic sites: the New York State Museum, New York State Library, New York State Archives, Irish American Heritage Museum, Albany Institute of History and Art, and 57 listings on the National Register of Historic Places. Though Albany lacks a professional sports presence, the town rallies around its various collegiate teams. 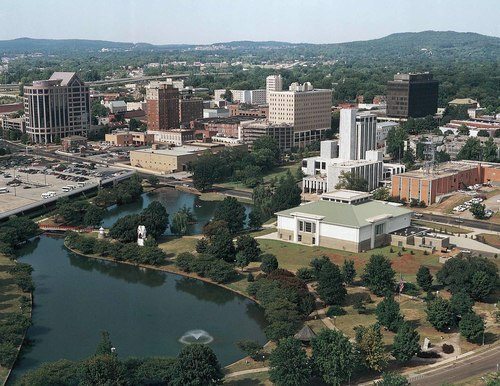 Having been previously named as one of “America’s Dozen Distinctive Destinations,” Huntsville is home to Alabama A&M University, University of Alabama – Huntsville, Oakwood University, and J.F. Drake State Community and Technical College, among several community and satellite campuses. The city has 57 parks and several thousand acres of green space, ponds, trails, and gardens. 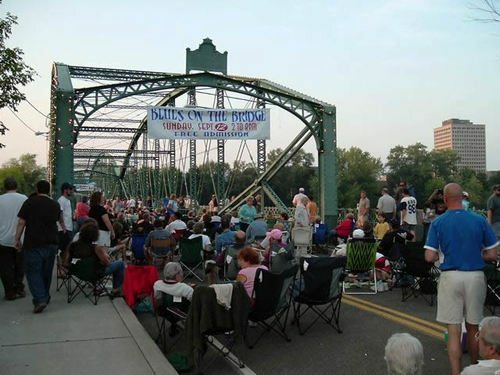 Huntsville has a particularly large number of music and performing arts festivals, as well, for a city of its relatively modest size – 430,734. The city’s economy is primarily based off aerospace, military technology, and tech. 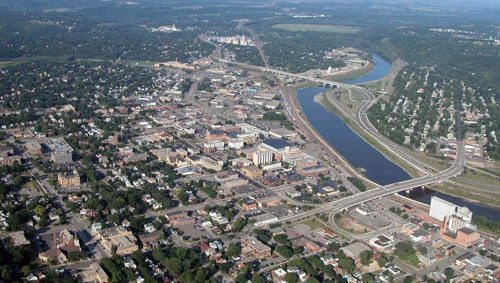 Located at the confluence of the Minnesota and Blue Earth rivers, Mankato and North Mankato (on the other side of the bank) have a total population of just under 100,000. Minnesota State, South Central College, Bethany Lutheran College, and Rasmussen College all are in the greater metropolitan area. Despite its small-town Minnesota atmosphere, there’s a lot going on. Rolling Stone has recognized Mankato as one of the country’s top 50 college towns, in part because of its rich and diverse music scene. And precisely because of its cozily curtailed population, Mankato is often named among the nation’s most appealing “micropolitan” outposts. Parks, theaters, and a local microbrewery are additional rounding-out perks – not bad at all for one of the cheapest towns on our list. Corvallis, on the western border of the state, is home to the Oregon State University Beavers. The university is the area’s primary employer, followed by healthcare, bio pharmaceuticals, and tech. (Hewlett Packard has a large research and manufacturing facility.) Two festivals are central attractions each year: the Da Vinci Days Festival and the Corvallis Fall Festival Annual Arts Party in Central Park. Nationally recognized as a Tree City USA, Corvallis has 47 public parks and an arboretum. OSU provides competitive collegiate sports, and Corvallis is ranked third highest among U.S. cities for bicycle commuters. The city was previously ranked #48 on the 100 best places in the USA to live and launch a business by Fortune Small Business. Smack dab in the middle of America, there are 11 colleges and universities in Omaha, none more prominent than the University of Nebraska – Omaha, which acts as the town’s heartbeat. A blue-collar, classic Midwest town, Omaha has 5 Fortune 500 companies: ConAgra Foods; the U.S.’s largest railroad operator, Union Pacific Corporation; insurance and financial firm Mutual of Omaha; Kiewit Corporation; and, famously, Warren Buffet’s Berkshire Hathaway. The city is also home to several other high-profile companies, such as TD Ameritrade, West Corporation, Valmont Industries, Green Plains Renewable Energy and Werner Enterprises. Thanks in part to its diverse economy, Omaha has previously ranked as as the nation’s #1 “Bang for your Buck City” by Forbes, a particularly appropriate title for this list. 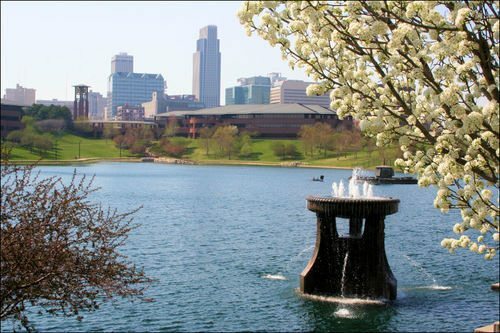 Omaha’s attractions include the annual College World Series, nationally recognized museums, the largest community theater in the United States, the Omaha Blues, Jazz, & Gospel Festival, the world-renowned Henry Doorly Zoo, and much more. One of the most inimitable cities on the list, Austin houses the University of Texas, in addition to a dozen other higher ed institutions. With an exceptionally diverse economy, major business emphases include tech, healthcare, pharmaceutical and biotechnology, and more. 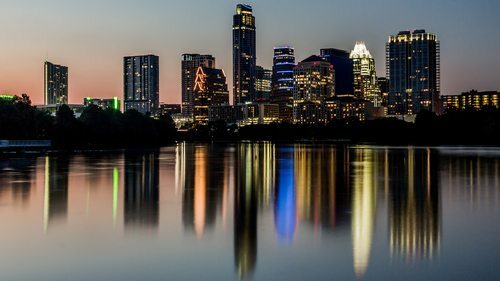 Because of the rapid influx, Austin was named “#1 Boom Town” in 2015. Of course, business isn’t everything in the proudly eclectic city. The Austin music scene is one of the very best in the country, and 6th Street is its Mecca. Austin City Limits is always a top-talent draw, but there are more than a few other festivals in town throughout the year – not least of which is the all-encompassing South by Southwest. Other attractions include museums, parks, UT sports, and a vibrant independent film culture. In short, there’s a whole lot to like. 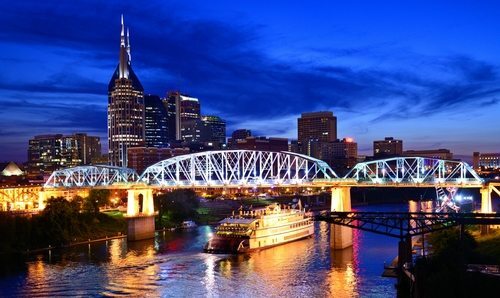 Forever “Music City,” Nashville, population 1,654,638, has a bevy of colleges and universities in its ken: Vanderbilt University, Belmont University, Aquinas College, Tennessee State University, Watkins College of Art, Design & Film, Lipscomb University, and several more. For all this, and because of the famous full-scale Parthenon replica, it’s often known as the “Athens of the South.” While country music is obviously the primary musical focus, Nashville’s scene has become increasingly diverse through the years: indie rock, blues, gospel, and the Nashville Symphony. Outside of music, the city boasts nearly 100 parks, totaling over 10,000 acres. As such, Nashville embodies a kind of synthesis of town and country – the modern Southern city. Add on top relatively affordable housing, and Nashville is a shoe-in for top 20. The “City of Oaks,” Raleigh is the second largest city in the state, with a population of 1,188,564. Part of the state’s famous Research Triangle, North Carolina State lies at the heart of the city, with a dozen other colleges and universities also on hand. Raleigh hosts a slew of museums: the African American Cultural Complex, Contemporary Art Museum of Raleigh, Gregg Museum of Art & Design at NCSU, Haywood Hall House & Gardens, North Carolina Museum of Art, North Carolina Museum of History, and several others. The visual and performing arts are equally represented. 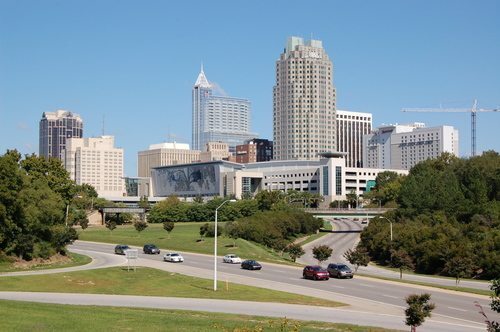 Raleigh is awarded year-in and year-out for its quality of life and business climate, variously ranked #1 in America’s Best Places to Live by BusinessWeek, #5 for Top 10 Best Cities for Educated Workers, and #1 for America’s Most Wired Cities. 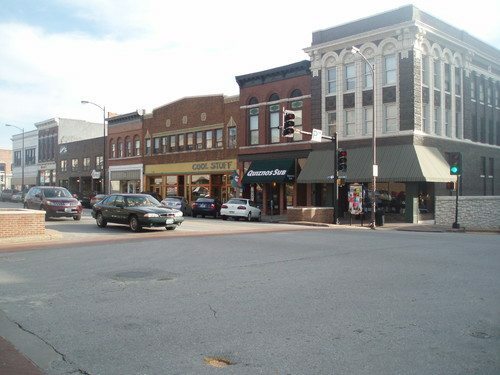 Halfway between Topeka and Missouri, Lawrence is home to the University of Kansas and has been listed as one of the country’s best college towns by the American Institute for Economic Research, MSN, Rolling Stone, and MSNBC. Jayhawk basketball is always a large draw, but there’s more here than just the hardwood. 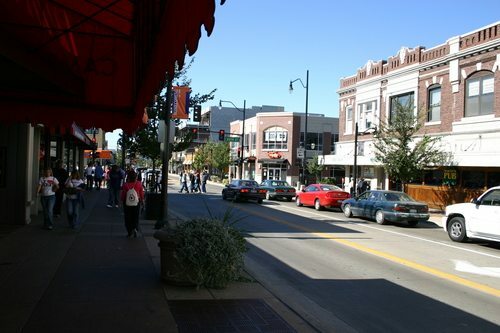 In fact, the New York Times has called Lawrence “the most vital music scene between Chicago and Denver.” The city’s rich history lends itself to many museums and historical sites, and the varied antebellum neighborhoods offer a diverse architectural array from Italianate and Victorian, to Gothic Revival and Tudor, among many others. The second point of the Research Triangle on our list, Durham and Duke University are just mere miles down the road from Chapel Hill and arch rival UNC. For now, however, Durham has the advantage: a growing economic base and burgeoning homegrown culture has the city both affordable and as attractive as ever. Events and festivals occur throughout the year: jazz festivals, plays, blues festivals, symphony concerts, art exhibitions, and a multitude of cultural expositions, including the American Dance Festival and the Full Frame Documentary Film Festival. Durham’s music scene is excellent, and several independent record labels have started in the city. Of course, you can’t mention Duke without the Blue Devils. No doubt, the basketball season is a particularly exciting time around town, as students camp out days in advance outside Cameron Indoor Stadium before games. Columbia, or “CoMo,” has three institutions of higher education: the University of Missouri, Stephens College, and Columbia College. Situated upon the rolling plains of the Missouri River Valley, Columbia is classically American in its beauty and manner of life. Rock Bridge State Park, Mark Twain National Forest, and Big Muddy National Fish and Wildlife Refuge envelop Columbia, allowing for this unique pocket of country to thrive as one of the premier college towns in the nation. The city’s two central fine arts venues, the Missouri Theatre Center for the Arts and Jesse Auditorium, attract top acts, and the local music scene is flourishing. Mizzou’s basketball and football programs are always competitive and provide the community with a common allegiance and weekend camaraderie. Fort Collins is home to Colorado State University. 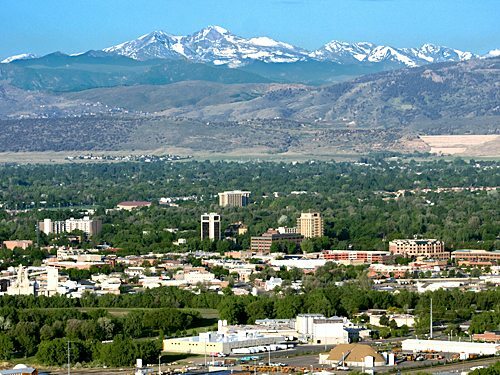 Located at the base of the Rocky Mountain foothills, halfway between Denver and and Cheyenne, Wyoming, Fort Collins is another city on our list that you’ll simply have to see to believe. In addition to its natural beauty, Fort Collins, population 310,487, is one of the closest communities on our list. As you might expect, Fort Collins is a decidedly crunchy locale, committed to the laid-back, free-range Colorado lifestyle. Up-tights need not apply. 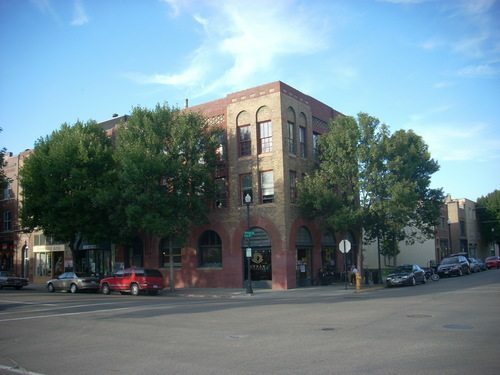 The area has also become famous for its microbrewery culture: New Belgium Brewing Company, the Odell Brewing Company, the Fort Collins Brewery, Equinox Brewing, Funkwerks, Horse & Dragon Brewery, Pateros Creek Brewing Company, Zwei Brüder Brewing, and 1933 Brewing all have set up shop in the city. (For macro apologist, Anheuser-Busch has a facility just a few miles away, as well.) Festivals occur year-round, and the Colorado Marathon’s finish line is in the heart of downtown. Ann Arbor is another city that’s also a collegiate metonym. In this case, it’s the University of Michigan. And with the biggest college football stadium in the world, commonly known as “The Big House,” able to hold a third of the city’s 300k+ population – yes, it should go without saying, college sports are a big deal here. But Ann Arbor isn’t just some jock’s daydream. Nearly 50% of its population is college-educated. These are smart folks with an eye for culture. The city has the Gerald R. Ford Presidential Library, the Ann Arbor Civic Theatre, the Arbor Opera Theater, the Ann Arbor Symphony Orchestra, the Ann Arbor Ballet Theater, and several more museums of art, science, natural history, and archaeology. Long a bastion and bulwark of anti-establishment fervor, the people of Ann Arbor are a tight-knit, like-minded community that still has a strong respect for its native Midwestern tradition. If you weren’t familiar with the subject you’d never guess it, but Iowa City is the unquestioned top literary city in the country. This is almost entirely due to the University of Iowa’s Writers Program, which has long been considered the #1 program in the nation – if not the world. 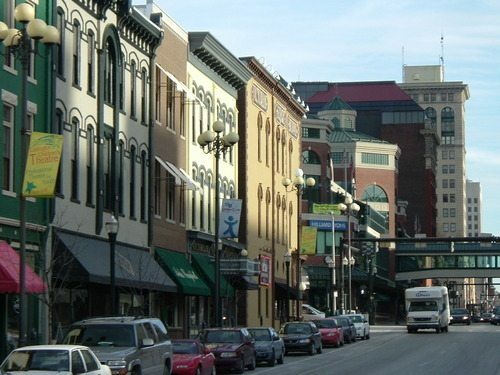 In fact, Iowa City is the only designated “City of Literature” in the US, as appointed by UNESCO. Don’t worry, though: you don’t have to be in the running for a Pulitzer to live here. (That said, you should probably at least know what that is.) Iowa City also a nationally recognized jazz festival, a festival of the arts, open-air summer movies, and free concerts every Friday night. There’s also more than a dozen sites on the National Register of Historic Places. Iowa’s collegiate athletic programs are always contenders, plus the city has an abundance of parks and green spaces. So, no, you don’t need to be intimidated by the occasional tweed-wearing denizen. 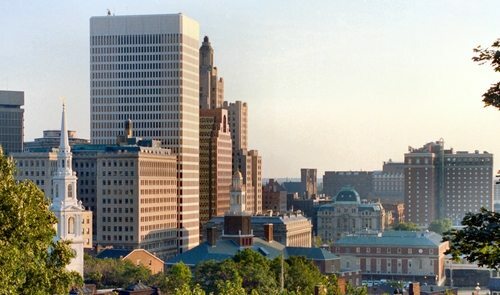 Bridgeport, the most populous city in Connecticut at 933,835 residents, is home to Housatonic Community College, St. Vincent’s College, University of Bridgeport and the Yeshiva Gedola of Bridgeport. With the high concentration of schools in the district, education is a top employer, followed by healthcare and various industrial jobs. Famous for its public parks systems, and nicknamed “The Park City,” Bridgeport has hundreds of acres of green space. What’s more, the city hosts several musical festivals and concert series throughout the year, including the popular Gathering of the Vibes, a weeklong arts, music, and camping festival. The Beardsley Zoo is the largest in the state, and the Barnum Museum showcases perhaps the town’s most famous citizen. Welcome to Big Sky country. 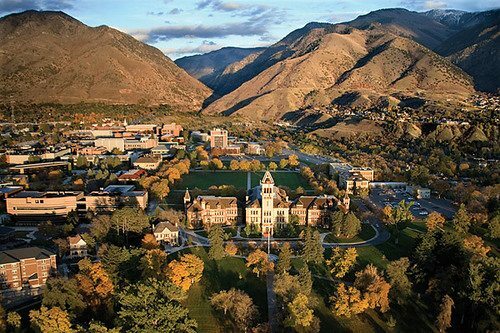 Located along the Clark Fork River and at the convergence of five mountain ranges, Missoula is where you’ll find the truly one-of-a-kind University of Montana. If ever there was a place to reenact the hard, rugged cattle drives of the late 19th century frontiersman, it’s here. But the occasionally tough landscape repays itself with interest when you consider the unparalleled natural beauty. The rivers are wide, the pines are tall, and the trout are world-class. You’re also likely to spot some seriously wild fauna: white-tailed deer, black bears, osprey, and bald eagles are native to the land. Nor does the city want for culture. 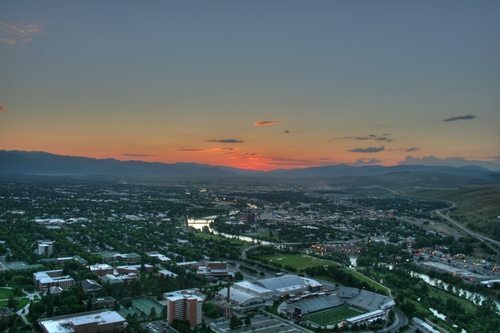 Missoula hosts the Big Sky Documentary Film Festival, numerous concerts and performances throughout the year, and has a nice cache of museums, including the Missoula Museum of Art and the Montana Museum of Art & Culture. Sounds all-inclusive to us. Charlottesville and the University of Virginia are, as Thomas Jefferson had initially envisioned, a perfect match for each other. 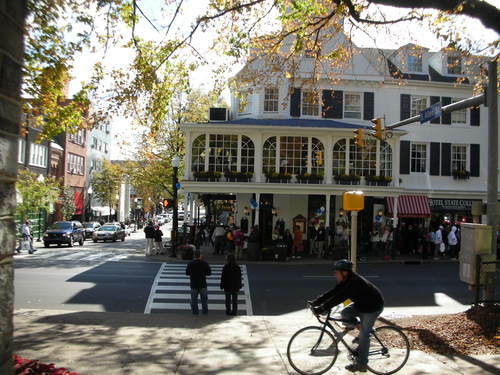 Prim and proper without being prudish or puritanical, the area is in many ways the ideal college town: neither too big nor too small, a uniform architecture and natural beautiful setting, a strong sense of community, and a tangible cultural heritage. 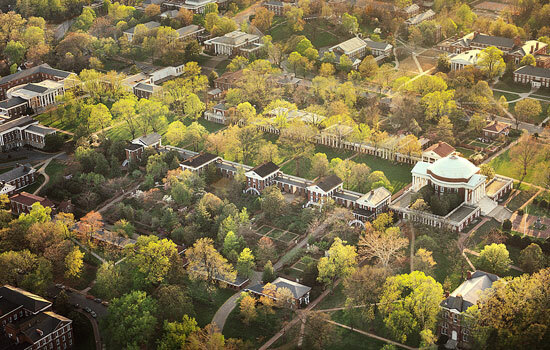 (UVa’s campus is a UNESCO World Heritage Site.) Charlottesville itself is steeped in history: the third, fourth, and fifth Presidents of the United State all lived here, as did Edgar Allen Poe and William Faulkner for a time. Among the myriad attractions include Shenandoah National Park, the Blue Ridge Parkway, the Downtown Mall, the annual Virginia Film Festival, and much more. The university is the city’s primary employer, though healthcare and financial services also have a firm footing in the area. 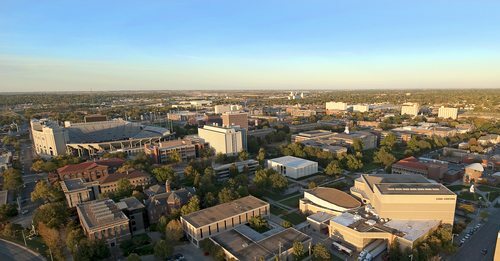 While Lincoln is certainly best known for being the flagship campus for the University Nebraska, the city also has Bryan College of Health Sciences, Nebraska Wesleyan University, Union College, and several community colleges and satellite campuses. Fall is for football in Cornhusker nation, and the entire town is quick to convert into a sea of red and white on game day to support the lifeblood of the community. Lincoln is also a great live music town, with venues across the city. Summer is festival time. The Lincoln National Guard Marathon & Half-Marathon occurs every May, and the Fourth of July parade is always a sight to behold. And thanks to 125 parks, all of which are connected via a 133 mile trail, Lincoln residents enjoy one of the finest, continuous parks systems in the United States. Ames is where you’ll find Iowa State University. The city is small at 91,140 residents, so the university is very much at the center of things in town. 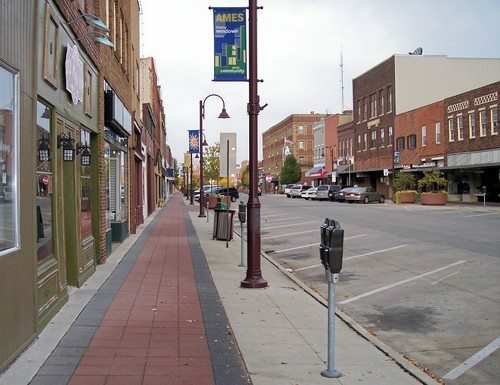 Attractions include the Ames Historical Society, Hayward Hostel, Ames Public Library, Octagon Center for the Arts, Space for Ames, a public community space that hosts art exhibitions, concerts, and other performances. Ames also has – count ’em – over 30 parks. That’s a pretty solid parks-to-population ratio, if you think about it. The university’s athletic teams are another big draw, and the men’s basketball team in particular has become a perennial national contender in recent years. All these benefits, in addition to a tough-to-beat price tag, earned Ames #9 overall on CNNMoney’s “Best Places to Live.” It’s #5 on our list. Madison is home to the University of Wisconsin–Madison, Edgewood College, Madison Area Technical College, and Madison Media Institute, plus several community colleges and satellite campuses. The University of Wisconsin and local government serve as the two main employers, though healthcare, biotechnology, and advertising are on the rise. Cultural attractions around town often center around the area’s popular and vibrant music scene, in addition to numerous performing arts venues and an underrated independent film presence. The Wisconsin Badgers are a source of pride throughout the community, with the basketball and football programs competing for national titles on a yearly basis. 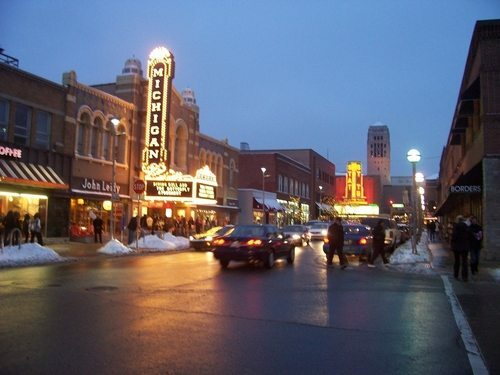 The city routinely shows up in top rankings, and has previously been named #1 college sports town by Sports Illustrated, #1 Best Place to Live, and #2 on the Top 25 Most Uniquely American Cities and Towns. Ithaca has arguably the highest concentration of prestigious schools on the entire list: Cornell University and Ithaca College, which are central factors in the city’s economy and culture. That said, a recent influx of healthcare, tech, and tourism have invigorated and diversified business. Ithaca is also something of a foodie destination, with the Moosewood Restaurant being named among the top 20 Most Influential Restaurants of the 20th Century. The Ithaca Farmers Market is another major attraction, bringing 150 vendors from in and around town. Perhaps unsurprisingly, the university’s have also brought in excellent museums: the Sciencenter, the Cornell Lab of Ornithology, and the Herbert F. Johnson Museum of Art, whose exhibit is one of the finest available in upstate New York. Ithaca is also home to Cayuga Nature Center, a public educational venue featuring a wide variety of animals and a six story treehouse. Several festivals take place throughout the year, as well. 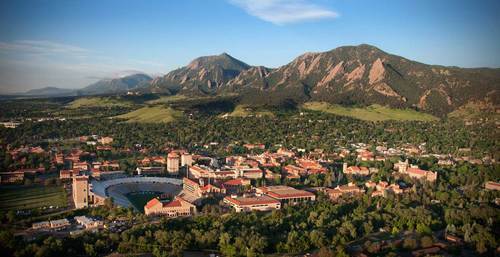 Boulder, Colorado – hippie hangout, or high seat of education? Well, turns out the two aren’t mutually exclusive. Yes, Boulder carries with it a certain aura that you won’t find many other places, but it’s also one of the best-educated communities in the United States. A whopping 58% of its population has a college degree. The University of Colorado is the city’s main source of knowledge, but there are well over a dozen scientific research institutions in town, too. Boulder is also a town of highly active and athletic folks: rock climbing, rugby, cycling, and hiking are the most popular sports in town. The music is no slouch either, and the town is always a top draw for some of the best talents around. For its quality of life, health, well-being, and more, Boulder claims many top rankings: #1 Happiest City, #1 Brainiest City, #1 Food-iest Town – you name it, Boulder’s at or close to the top of nearly every list. The same holds true here. Fargo is really not as surreal or casually violent as the Coen Brothers or cable television would lead you to believe. Home to North Dakota State, Rasmussen College, and others, it’s actually quite pleasant. Residents – there are 216,312 of them – enjoy a selection of beautiful old theaters and movie houses. Museums are abundant: Bonanzaville, USA, is a village made up of many historic buildings from the region; Fargo Air Museum’s exhibits include an impressive WWII airplane collection; Rourke Art Museum and Plains Art Museum have a diverse art exhibition; and the Hjemkomst Center features a replica Viking ship and other Norwegian historical artifacts and oddities. Despite its relatively diminutive stature compared to the big boys of the NCAA, NDSU’s athletic programs are competitive and boast some of the most diehard fans in the country – ask any visiting team at the Fargodome. 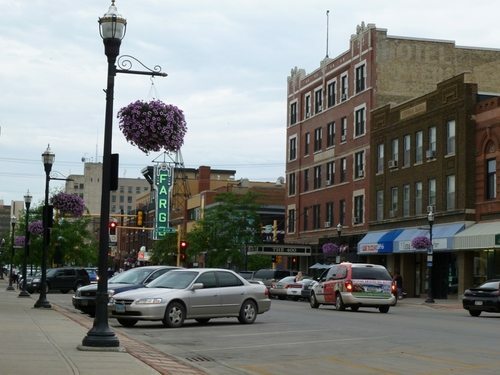 So, yes, though it’s been portrayed as otherwise in popular culture, Fargo is a community-oriented, culturally relevant, and imminently affordable college town. For that, it takes our #1 spot.